Golf cart performance parts can give your cart more speed or more power to get up hills or to carry heavier loads. Living in a golf cart community, we take our golf cart all over town - which we love to do. But I frequently pull off to the side so that the faster moving golf carts can pass us. That's because I own a 1987 Club Car that is very reliable - but slower than the newer carts. I think it's time to look at getting this cart up to speed ... literally. So how do you make your golf cart go faster? 2. Where is the cart being used - flat streets, like Florida or off-road in the mountains of North Carolina. Installing a high speed gear set. With these sets you gain speed but you loose torque. Not a good option if you live in a very hilly area or if you haul heavy loads. 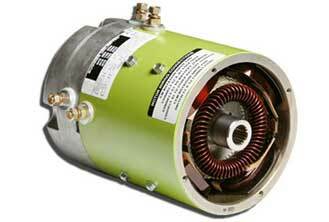 Replacing your existing motor with a high speed or high torque motor. Factors such as a lift kit, oversized tires, back seat or a hauling bed will affect which motor to purchase. This golf cart performance part is specific to a golf cart make and whether your cart is electric or gas. Here is a picture of a Torque Motor that works with lifted golf carts and can be used on rugged terrain, brush, mud, or for extreme off-roading, hunting, or towing. If you are looking for more speed, consider getting larger tires. The larger the tires the larger the revolution. You will sacrifice some torque if you go this route. This is the easiest way to make your golf cart go faster and usually will cost less than adding speed components. To be sure you are getting the speed benefits of larger tires, keep your tires properly inflated. 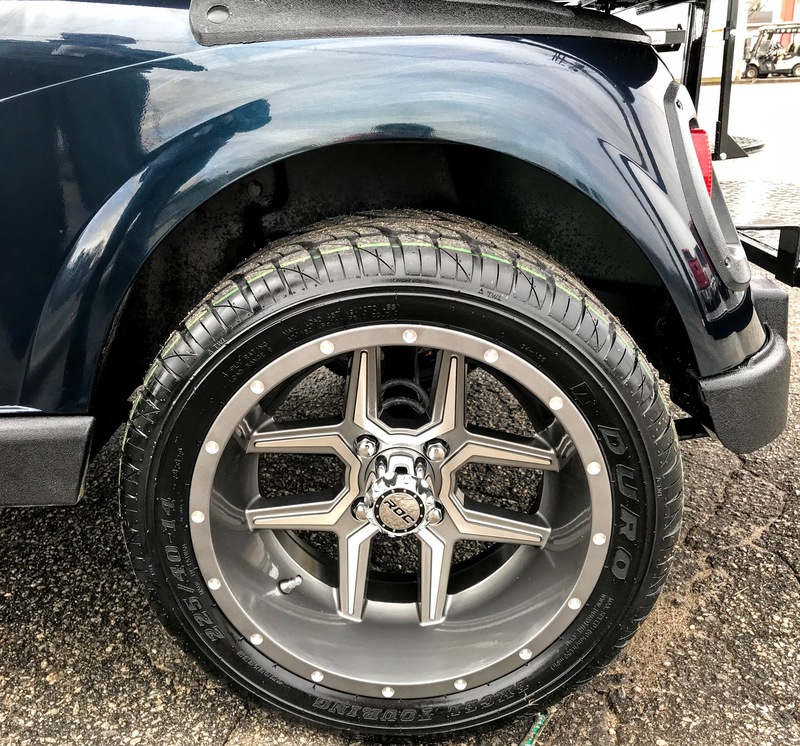 If you want put on larger tires you can either install a lift kit or purchase low-profile tires. 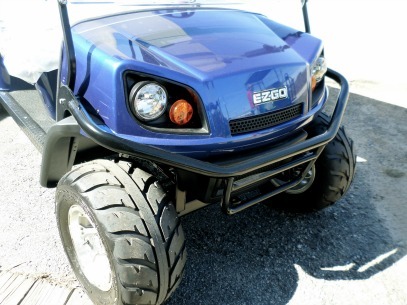 We purchased a 2016 EZGO TXT that allows for larger tires without having to install a lift kit. Install a higher amperage, high performance controller. Determining how and where the golf cart will be used will help determine the correct amps for your controller. Those who drive on a mostly flat surface with a light load need less amps while those who often carry 4 passengers or more on hilly terrain need a higher amperage. Controller amps can range from 200-800 amps and are built for either 36 volt or 48 volt golf carts.